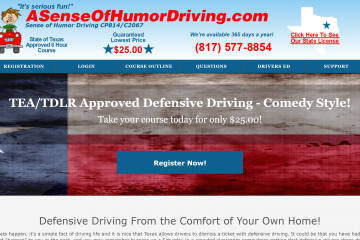 Very few companies have a longer history in Texas defensive driving than A Sense of Humor Driving. They have been helping drivers dismiss tickets and save on insurance since before slapping a “.com” on the end of your company name was a thing. classroom version of defensive driving featuring lots of games and improv elements that proved extremely popular with the lead-footed public. Word got out that it was possible to actually enjoy yourself in a defensive driving classroom and the company began to grow. In no time at all, A Sense of Humor grew to five classroom locations in Dallas and Tarrant counties, each offering 20+ classes a month. Looking for a way to supplement the income from my day job, I gave them a call to determine if, a, were they really funny and, b, were they hiring? I found out a very short time later that the answer to both questions was yes, but not necessarily in that order. Things were great for about five years, then a little sumpin’ sumpin’ happened. Maybe you’ve heard of it? It was called the internet. 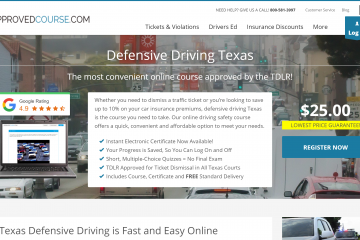 Talk began to circulate about how defensive driving might one day be offered online. I just couldn’t see it. Who in their right mind would sit in front of a computer that long? Unfortunately, technological progress marched on and left me behind. 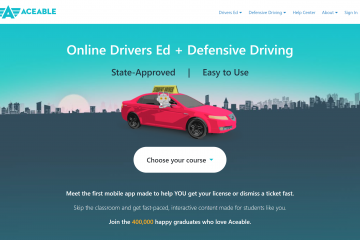 Within six months, all the classrooms were gone and I was literally replaced by a computer as A Sense of Humor Defensive Driving morphed into ASenseOfHumorDriving.com. Not that we can really blame them. If you can remember back that far, the whole internet looked pretty much like this. Sadly, despite their initial success, ASenseofHumorDriving.com lost a great deal of market share as the years went on. Why? Because the site still looked like this well into 2018. While the course contained lots of topical humor when it was written, jokes about celebrities and other public figures who had been been dead, disgraced or otherwise dropped from view for more than a decade just didn’t pack the comedic punch they once did. 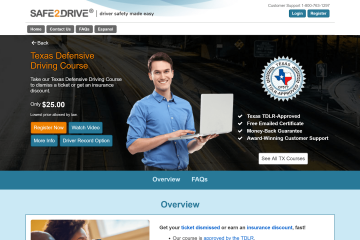 New Owners + New Look = Good Defensive Driving News for You! 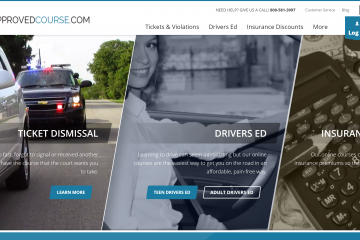 ASenseOfHumorDriving.com was acquired in April of 2016 and the new owners were anxious to revive the brand. The facelift was slow in coming, but it’s finally here. Who wins? Why you, my “Sorry, officer, I was just trying to make it to work on time” friend. So the mascot’s still a little squirrelly, but at least his new home is easier on the eyes. 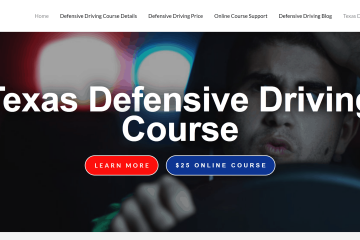 The ASenseOfHumorDriving.com course has always benefited from having an excellent classroom defensive driving course as a part of its DNA. Where it suffered, however, was in translating the spirit of that course into the technology of the online space. Beyond the off-putting appearance of the site, there was a host of functionality issues that really took away from user experience. Fortunately, these issues were all addressed in the rebuild. The site works, it looks better and pop culture references actually refer to current pop culture. Students find that taking the course since the reboot provides a much more pleasant experience overall. Another benefit A Sense of Humor has always offered is exceptional customer service. There is someone available to offer help or answer questions by phone, email or online chat from 9 AM to 9 PM Monday through Thursday and from 9 AM to 7 PM Friday, Saturday and Sunday. Certificate processing has always been fast but, thanks to another upgrade, it’s gotten even faster. In the past, A Sense of Humor was great about getting certificates in the mail the same day that a course was completed. Today you don’t have to worry about the mailman spoiling that prompt customer service as you can opt to have your certificate emailed to you directly—immediately upon course completion. 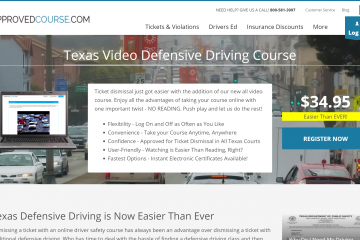 A pioneer in online Texas defensive driving, A Sense of Humor Driving is working hard to regain its leadership position in the market. 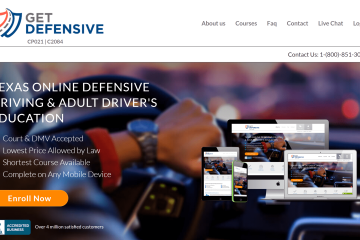 With a fresh new interface, great customer service and the ability to get your completion certificate immediately, ASenseOfHumorDriving.com is a solid choice for fulfilling your defensive driving requirement. These guys have been at this for a long, long time. They've dismissed hundreds of thousands of tickets over the last quarter century—they may as well help you with yours!